Last Friday, BM and I headed out bright and early to 34th Street to find me an evening gown (for the final dress-changing portion of the evening), since the one that I had originally intended to wear is really plain and not exactly flattering. My co-worker had told me about the inexpensive evening gowns that you can buy in the Garment District. I had checked out some places before, but it was difficult to make a decision w/o a second set of eyes and w/o being able to try anything on. So I dragged BM with me to this particular store that actually has a fitting room (ghetto as it may be) and after trying on many a dress, I found something! At first, I was really afraid that I would make the wrong decision (you can't return stuff, just exchange, and only within 24 hours) so I asked the woman to hold the dress for me (she only holds it for a few hours) while we went to look elsewhere. Since we were in the area, we went to Macy's. Interestingly, I saw at least two styles of dresses that were in the ghetto store, just in different colors. The big difference? About $50 (if not more -- numbers escape me for the moment)! Oh and at Macy's, they have fancier tags attached. After I realized that my budget prevented me from buying anything nice or undamaged from Macy's (I've bought enough evening gowns in the past year for quite a few formal events), I came to the conclusion that the dress from the ghetto store was the one for me. It is a halter dress with an empire waist and A-line skirt. There is a weird fold of fabric in the front that looks a bit like ruffles, but not really. I'm thinking of cutting that part off. 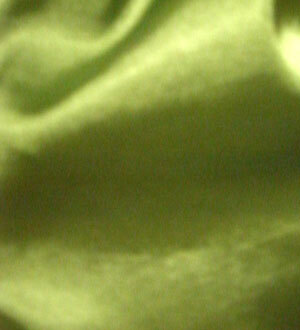 It comes with a thin shawl/scarf thingy and and it's green! Recently I've become enamored with the color green, especially bright greens like apple and lime. I've also noticed that this color is nice on Asian skin so I knew it'd be in my best interest to get something green. Even though many people would have preferred that I wear yet another red dress (besides the qi pao), I decided to go for the green and I think I have a winner! I will finally have a fabulous dress in my repertoire for the day! Today, I tried on the dress with my silver 3" heels and the length is perfect! Now I just have to iron it and perhaps look for the right undergarment. Yay! Something went right for a change!! It's a lovely colour. Doesn't look too bright to me! the major dept stores have such a lax return policy, you can always buy, wear, then return. i started in HS with my prom dress ($300) even altered the length (they have no clue) and returned it for the full price! the salesperson made me dry clean it though, so i had to make a second trip. now for special occassions, weddings etc...i just go shop for a new dress, wear it for the occassion and then return it. i bought/returned my prom dress (back in '99) in lord and taylor. but macys has like the most incompetent and rude salespeople who don't really care so i shop for my return dresses there. I am also looking for an evening gown for my third dress. Can you tell me where I should start looking> Where is the garment district exactly? Any thoughts would be great. The Garment District is around 34th to 39th Street, clustering around 7th Avenue. There are a lot of "wholesale" stores on 39th, between 6th & 7th, which I first tried but didn't find anything suitable for me (also no changing room to know for sure). But if you do find something you like, usually they allow you to buy just one dress so no need to worry about the wholesale label. I eventually went to the place on 34th, directly across from Macy's, down the street from Sephora. I think that's a great place to start. Of course, there's the usual Macy's and other department stores if you don't mind paying a little more. I know someone who got some great dresses from JC Penney too (a lot of selection around prom season, and quite cheap right afterwards). I think there are somewhat affordable (though very limited) selections on chadwicks.com too. Great formals at great prices. All dresses $50 - including tax. www.fiftydollarformals.com.